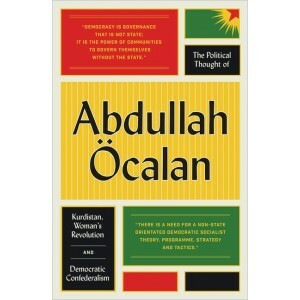 The essential introduction to the writings of Abdullah Öcalan, founder of Democratic Confederalism. These are the essential writings of a man who inspired a new, egalitarian socialist regime in the Middle East, which is currently fighting for survival against religious extremism and state violence. Abdullah Ocalan led the struggle for Kurdish liberation for more than 20 years until his capture in 1999. Now, writing from prison in Turkey, he has inspired a new political movement. Called Democratic Confederalism, this revolutionary model is developing on the ground in parts of Syria and Turkey; it represents an alternative to religious sectarianism, patriarchy, capitalism and chauvinistic nationalism, providing the blueprint for a burgeoning radical democratic society. This selection of Ocalan's writings is an indispensable introduction for anyone wanting to engage with his political ideas. His central concepts address the Kurdish question, gender, Democratic Confederalism and the future of the nation. With The Political Thought of Abdullah Ocalan, his most influential ideas can now be considered and debated in the light of his continuing legacy, most notably in the ongoing revolution in Rojava.